Born in Sydney in 1969 and currently based in the same city. Ormella ' s work tackles a wide range of issues confronting contemporary societies, seen through a simple yet incisive perspective. 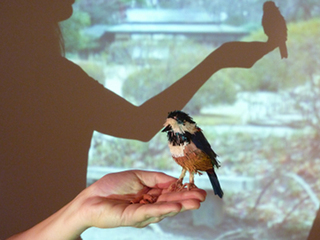 For the Aichi Triennale, Ormella plans to create 3 video works that address the relationship between humans and wild birds in Japanese cities.